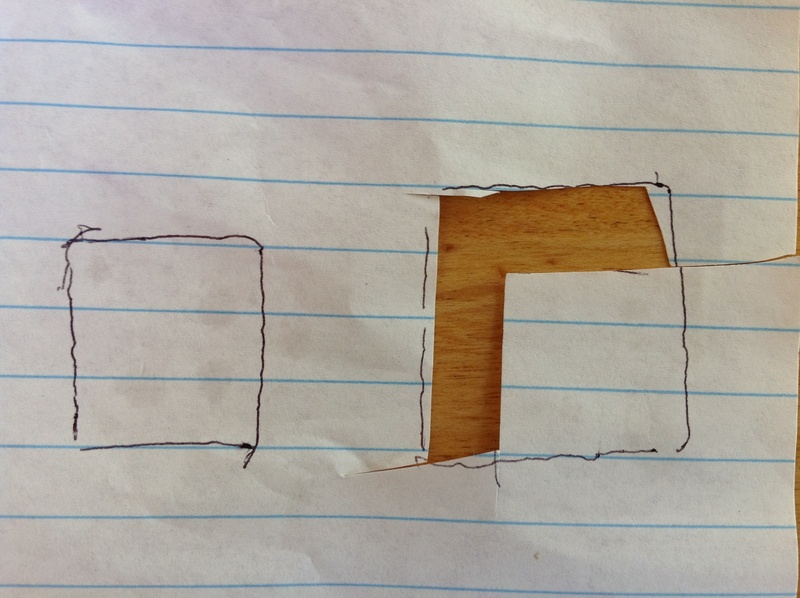 This entry was posted in Talking math with your kids and tagged 6 years old, 8 years old, crackers, Griffin, grocery store math, square roots, squares, Tabitha. Bookmark the permalink. I really enjoy your “talking math with your kids” posts because I also like to take advantage of opportunities to “talk math.” (See my Dinosaur Math post: http://k12mathpassion.com/2013/05/30/dinosaur-math/). Plus, I think relating math to everyday events is just good practice for making content comprehensible (not to mention, fun) for students. I particularly like the comparison of Tabitha’s and Griffin’s approaches, reflecting the different maturity levels in their mathematical thinking. Nice! 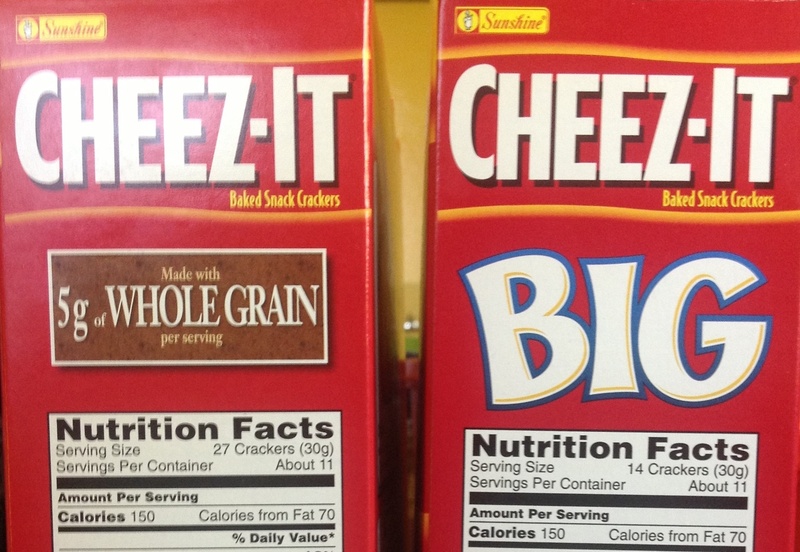 Just last week we discovered that regular Cheez-its are basically a square inch, so we were going to build lots of area practices with them…. 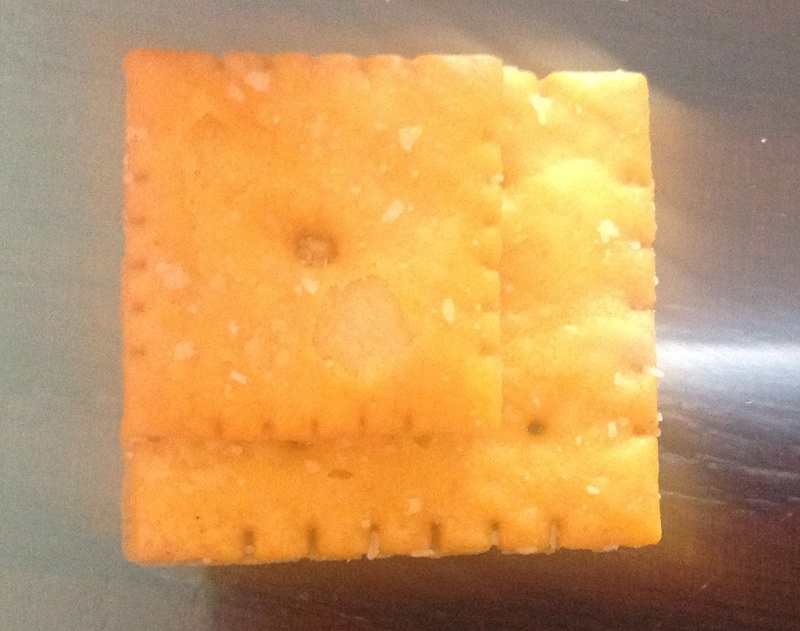 One square inch strikes me as a reasonable estimate of the area of a standard Cheez-It. I shall need to investigate this further. I dig the Dinosaur Math post, galenaylor. I especially like that you seize the opportunity to follow up on something the student/child is interested in and develop it further. That really is at the heart of what I hope to help parents of young children get better at. I was thinking about your follow up question there, and it strikes me that I don’t really know how long 65 million seconds is. That’s kind of lovely. I am also reminded that someone (was it xkcd?) blew my mind recently by pointing out in a web comic that Stegosaurus and Tyrannosaurus were separated from each other by more time than separates us from T. Rex. That’s how long the dinosaurs were doing their thing. As you observe, it is listening that makes these conversations possible. 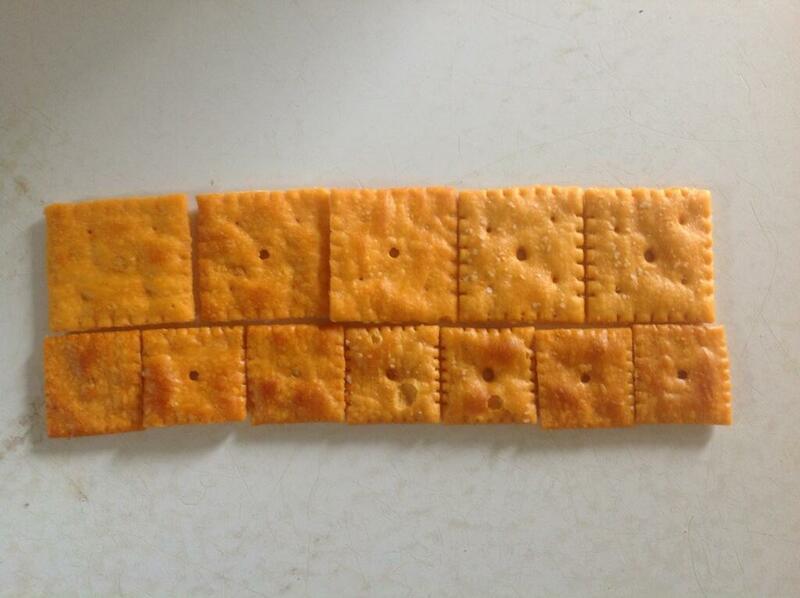 I wanted your picture to show the regular cracker at 45˚ to the big one, so that I could see if the corners matched up to the midpoints. That’s the way I generate squares of half the area. Christopher – Slightly off topic, but I wanted to share a conversation with my soon to be four year old daughter from this past weekend, We were on a long car drive and she was asking how far we were from our hotel. I replied that we were twenty minutes away. Later in the pool she was jumping to me from the pool steps and commanding me to back up some. I asked her how far I should go and she told me to be five minutes away. I said “Do you mean five feet away?” and she replied, firmly, that she meant for me to be five minutes away. I am wrestling with whether I think this is just charming and (semi) clever on her part or whether I need to start answering her pleas in the car with distances. Curious to hear some ideas on this. This is fabulous, mrdardy! I’ll work up a post on the matter soon. Short answer is that you’ll do no harm either way. Just keep talking, and keep her talking!